Nikita Kucherov got back on the board, and the Tampa Bay Lightning continued their roll toward the top seed in the NHL playoffs. 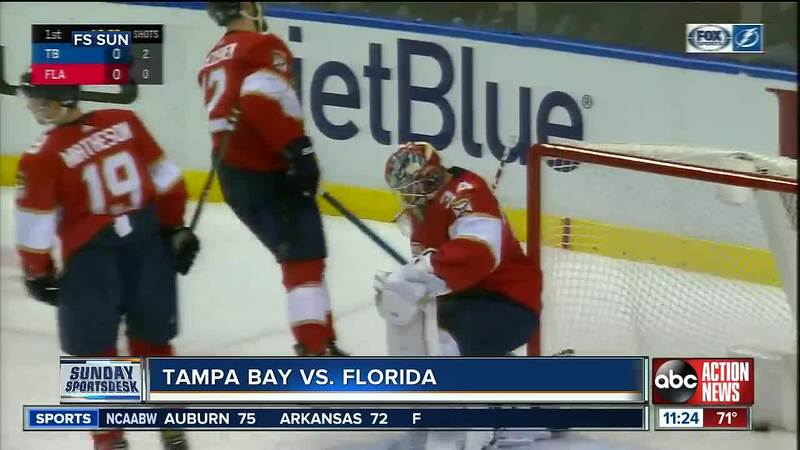 Kucherov had two goals and an assist to lift Tampa Bay over the Florida Panthers 5-2 on Sunday night. Kucherov's first-period goal ended an 11-game span without a goal. It was his first since Jan. 12 against Buffalo.